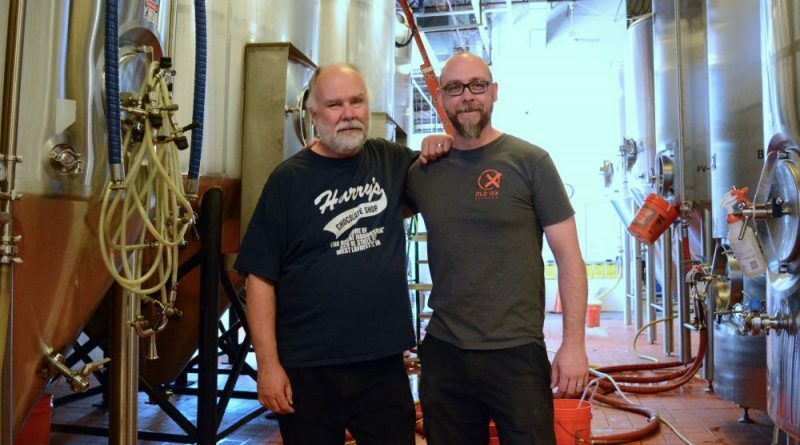 Old Ox Brewing co-founders and father-and-son team Graham and Chris Burns are brewing up a mystery beer for the Old Ox Anniversary Party. Because that will also be Father’s Day weekend, the two are getting back into the action and brewing together. Although Old Ox started with the Burns brewing in the garage, and continues to be run by father Graham, wife Mary Ann, and son Chris, the Grahams themselves have hired professional brewers and moved away from brewing since the brewery has expanded to be statewide force in craft brewing. The Old Ox Brewery 3rd Anniversary YOX Party will be June 17 at 1 p.m. and will feature food trucks, local bands, Old Ox rarities, and guest taps from other brewers. Admission is $25 in advance or $33 at the door and includes a commemorative glass. VIP tickets, which include twice as many beer tickets and one hour early admission, are limited and cost $40. One hundred Father’s Day beer mugs will be available on a first-come, first-serve basis. Tickets are available at oldoxbrewery.com/yox.